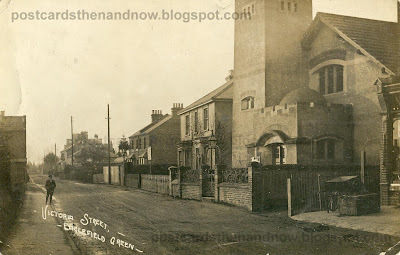 The unusual building on the right is the former Englefield Green Methodist Church, apparently it is to be converted into the Village Centre. Postcard by Young and Co of Teddington. This example was posted in 1907, quite early for Young and Co.